PoolParty is a world-class semantic technology suite: it offers sharply focused solutions for your knowledge organization and content business. 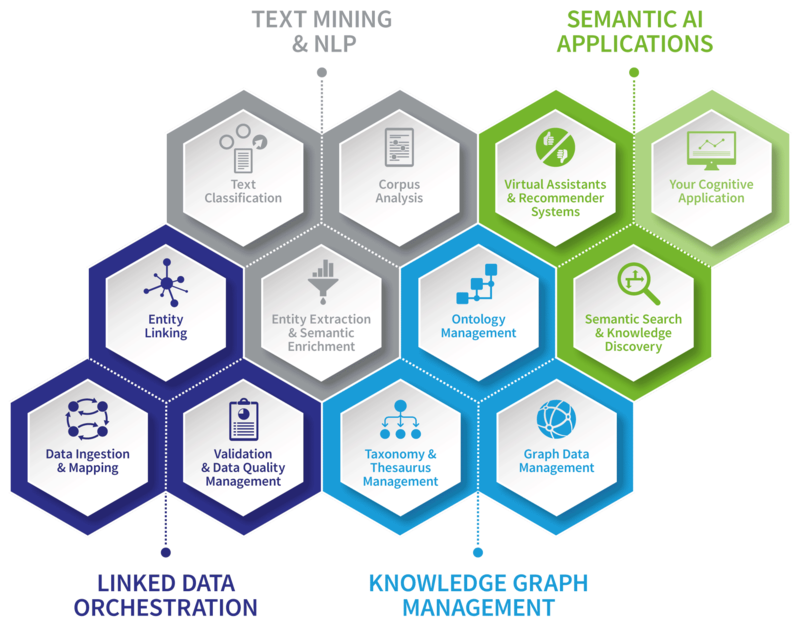 Create and develop synergies between departments and business units by establishing: controlled vocabulary, taxonomy, thesaurus, ontology or knowledge graph. Provide automatic tagging functions based on controlled vocabularies to ensure a cogent content classification. Discover and analyze complex relations in your data by means of customized data portals and state-of-the-art data visualization. PoolParty is a system which learns continuously from your information streams and documents. Applications such as the content recommender become gradually more precise and reliable. Thanks to a modular pricing model, PoolParty can be used by SMEs as well as by large enterprises. Start increasing the value of your data by applying the W3C SKOS standard (Simple Knowledge Organization System). Using PoolParty data complexity becomes your friend, as you incrementally build custom-built structures which fit your organization.